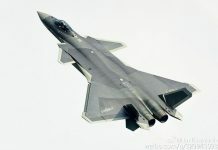 The People’s Republic of China (PRC) has announced plans to increase defense spending by 10.7 percent in 2013. The announcement came as China’s outgoing premier, Wen Jiabao, formally opened the National People’s Congress. 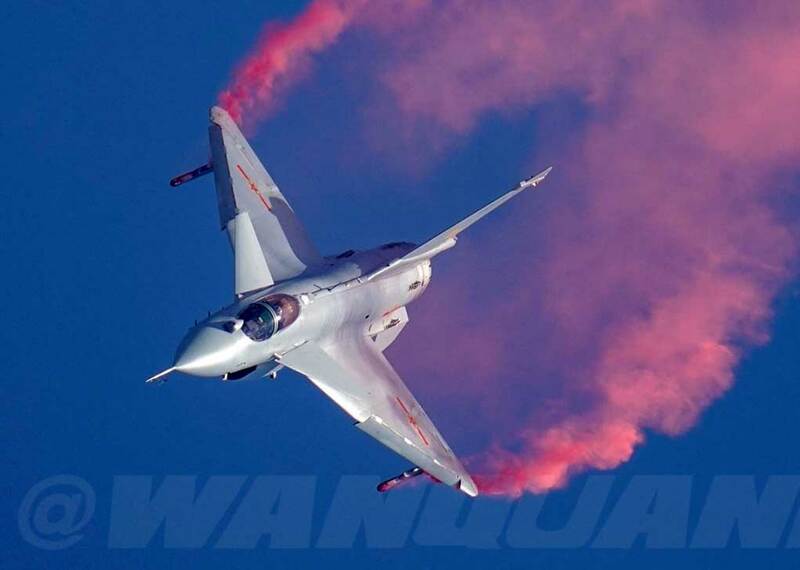 If China’s defense spending increases continue at the current rate, China’s defense spending may equal that of the U.S. within a decade, the London-based International Institute of Strategic Studies published Thursday, March 14. A brief story released by China’s official news outlet, Xinhua News Agency, confirmed the planned increase with a note emphasizing the point that the 2013 budget, even with the increase, still represents only 1.3 percent of the nation’s GDP. The 10.7 percent increase will boost defense funding to $115.7 billion, a far cry from the United States’ military budget of $656.2 billion. Of equal interest is the Chinese claim that defense spending totals only 1.3 percent of GDP while the United States devotes as much as 4.8 percent of the nation’s GDP to defense expenditures. Beijing’s official defense spending, while reportedly being far less than that of the United States, is believed by many analysts to be woefully understated. Actual spending is believed by some to be as much as 50 percent higher than the numbers publicly announced. China routinely excludes expenditures for space activities and nuclear missile forces from official budget announcements. Were these two programs to be included in the official budget numbers, a practice commonly followed by most nations, total defense spending would be significantly higher and could equal as much as 2 percent of GDP. While this budget increase was not unexpected, it does send a strong message to the world that China’s economic growth and resilience remain strong while the United States and other Western nations are facing significant budget cuts as they wrestle with faltering economies. According to Chinese officials, aggregate government spending for 2013 is projected to increase 10 percent to a total of approximately $2.2 trillion. China’s leaders have set a goal of GDP growth for the year at 7.5 percent. This GDP target is less than in years past, but is still significantly higher than many Western economies. As in previous years, the 2013 budget announcement is lacking in details as China continues to resist demands for more transparency and quantifiable disclosure. 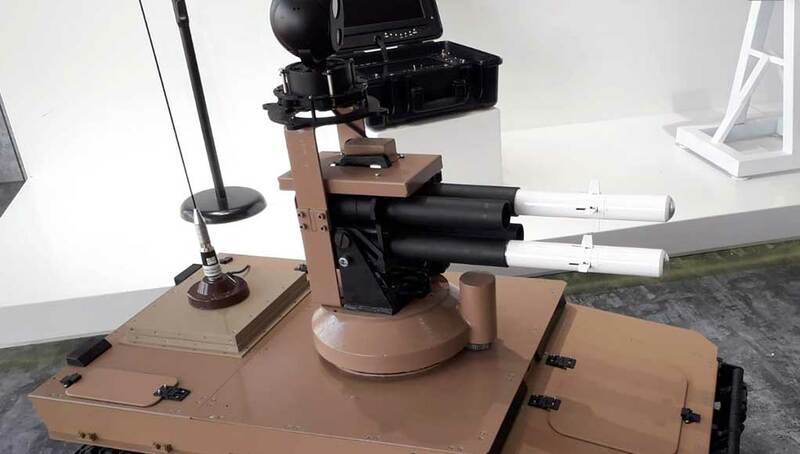 A portion of the defense budget increase is expected to be applied toward improving the working and living conditions of military personnel, modernizing the military’s information-technology capabilities, and increasing the mechanized assets of the armed forces. Other funds will, of course, be used to enhance China’s national defense posture and warfighting capabilities. Reports published by the Xinhua News Agency claim that the 2013 budget will also be used to procure additional weapons and specialized training for the People’s Liberation Army (PLA) as it sharpens its skills in fighting terrorism. Additional training in conducting humanitarian relief operations is also scheduled. Although not specifically addressed in the new budget, it is reasonably certain that substantial funds will also be earmarked to finance development of advanced aircraft engines, sophisticated weapon’s technology, and cutting-edge sensor systems. While the United States continues to enjoy both a technological and a real-world warfighting advantage over China, the numbers alone do not tell the whole story. The United States is a global power with global responsibilities requiring massive sums of money to maintain its much-vaunted reputation of being the world’s most capable military power in the world. Until recently, China has dedicated the bulk of its funding to protecting the nation’s immediate borders and the sea lanes close to home. With this focus on areas close to home, Beijing’s leaders were able to dedicate a larger portion of their less-generous funding to modernization and emerging technologies. Now, the situation in the Pacific has changed and China’s ambitions have evolved. 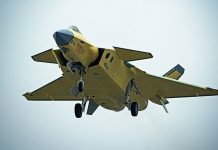 With the Obama administration’s much heralded “pivot to the Pacific” and China’s neighbors determined to strengthen their own defense capabilities, Beijing will need considerable funding to sustain its plan to transform the PLA from its current status as a regional force of limited reach into a modern force with a global reach. AviChina Industry & Technology Co., Ltd.
China has also not been immune from the effects of economic reality anymore so than the rest of the world. China’s economy is slowing and inflationary pressures have diluted the value of the Yuan. When viewed from the perspective of constant value, China’s increases in defense spending throughout the past twenty years represent a much smaller rate of growth than is frequently cited by the news media. In general, the increases in defense spending have tracked closely with the real growth in GDP and have never represented the primary government expenditure. 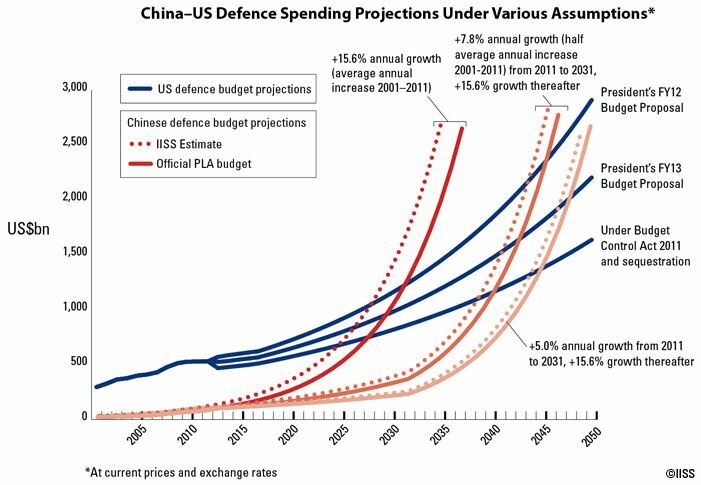 In fact, China’s 2013 budget for internal security will again surpass the projected funding for national defense. At an estimated $122 billion, the internal security budget appears to indicate that Beijing continues to worry more about domestic issues than international hostilities. 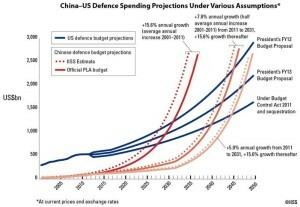 Of course, most analysts speculate that the defense budget is grossly understated and we may never know the true value of China’s defense spending. Given China’s rapid economic growth and the prospects for future growth, defense spending has considerable room to grow well beyond what has been spent in the past. In light of Beijing’s fervent desire to be recognized as a world leader and power broker, future expenditures for defense-related projects will undoubtedly need to increase at a rate consistent with that desire. The People’s Liberation Army Navy (PLAN) has been the most active of China’s military forces as it contends with territorial disputes involving Japan, Taiwan, the Philippines, Brunei, Malaysia, and Vietnam over island outposts in the South and East China Seas. These activities coupled with China’s dispatch of naval forces to the Gulf of Aden and the Mediterranean as part of the United Nations’ efforts to curtail the excesses of Somalian pirates have commanded an increasingly larger percentage of China’s defense budget. When considering these additional commitments, a 10.7 percent increase in defense spending begins to look rather paltry. To achieve what is most desired on the international stage – recognition as a “real” player in global events – China will need to dedicate increasingly larger amounts to the defense arena. The 2013 budget increase is barely enough for the PLA to continue the status quo and not enough yet to make anyone too nervous. ($): The related reports listed in this post are recommended market reports published by ICD Research and Strategic Defence Intelligence and marketed under cooperation with Defense-Update. They are not part of Defense-Update premium content.